Many people who like the idea of being able to code a game from scratch are too intimidated to learn how. The stereotype of the nerdy programmer with superhuman IQ has been hard to shake, but the awesome truth is that learning how to make a video game is something anyone who wants to do, can do. All you need to start creating your own projects is persistence, though it can help to have some guidance. 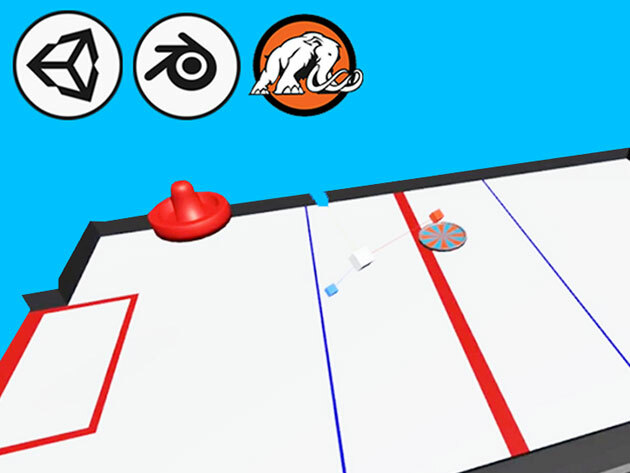 Mammoth Interactive has put together an incredible educational tool designed to help you create an air hockey game using Unity and Blender. And right now, it’s 91% off at the shop! The course focuses you on a creative goal, but lets you get the hands-on practice necessary to reach it. By the time you’re done, you’ll have crafted a game for your portfolio to springboard a career in development and taken a valuable first step in mastering one of the most popular game engines out there. In fact, Unity is preferred by most developers for its easy deployment across multiple platforms in areas such as rendering, scripting, and asset tracking. Blender is no slouch, either. Because this course forces you to complete all artistic elements needed to bring the project to completion, you’ll be getting an A-Z lesson in what it takes to complete a game from scratch. Unlock your inner game wizard today by purchasing Learn to Code by Making an Air Hockey Game in Unity for only $17!